Ridesharing is heating up, for better or for worse, in Austin. 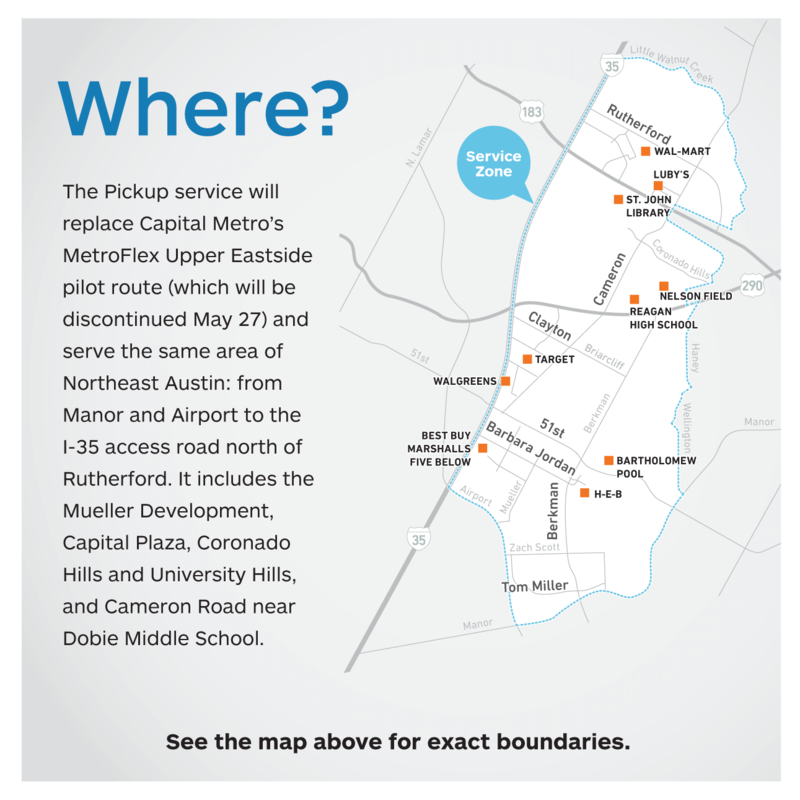 Capital Metro recently launched a pilot ridesharing program called Pickup that allows riders to arrange on-demand transit trips with the Mueller, Windsor Park, and Coronado Hill neighborhoods or to Capital Plaza using a mobile app. The service zone for Pickup ranges from the intersection of Manor Rd. and Airport Blvd. to the I-35 access road north of Rutherford Ln., and pickup by Capital Metro is available on Tuesdays, Thursdays and Saturdays, between 9 a.m. and 6 p.m. The service is free during the pilot phase. Meanwhile, the re-entry of transportation network companies (TNCs) Uber and Lyft into the Austin market has been detrimental for at least one of the homegrown ridesharing apps developed during the Uber and Lyft absence. “Thank you for opening your beautiful city to us these last 12 months. We cannot fully express how much we appreciate you choosing Fare and all your support. Sadly, the time has come to say goodbye. Unfortunately, we are unable to endure the recent loss of business. We wish you all the best. Thank you for keeping it really weird too! We enjoyed the opportunity to serve and get to know so many of you, your business never went unappreciated. We will never forget you Austin! RideAustin, a ridesharing app that is a nonprofit, is still operating but has also reported a drop in business lately. RideAustin has also lowered fares to better compete with Uber and Lyft.